Forces from the United Kingdom, the United States, Canada, the Free French and Poland all heavily participated, alongside contingents from Belgium, Greece, the Netherlands, and Norway, They capitalised on the element of surprise achieved due to bad weather and the success of Operation Bodyguard - a feat of massive deception to convince Hitler that the landings would hit Pas-de-Calais. In just over a year, the war would be won. 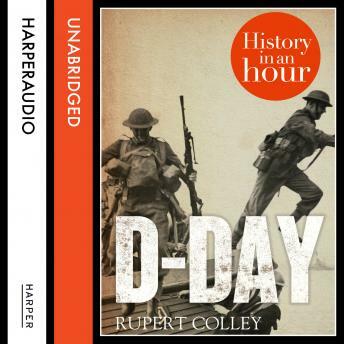 'D-Day: History in an Hour' is the story of how the largest military operation in history had been planned, practised and executed.